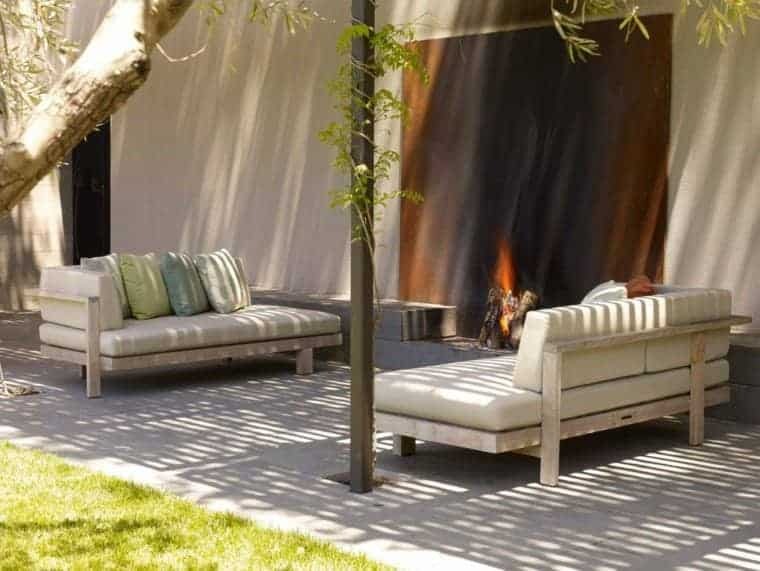 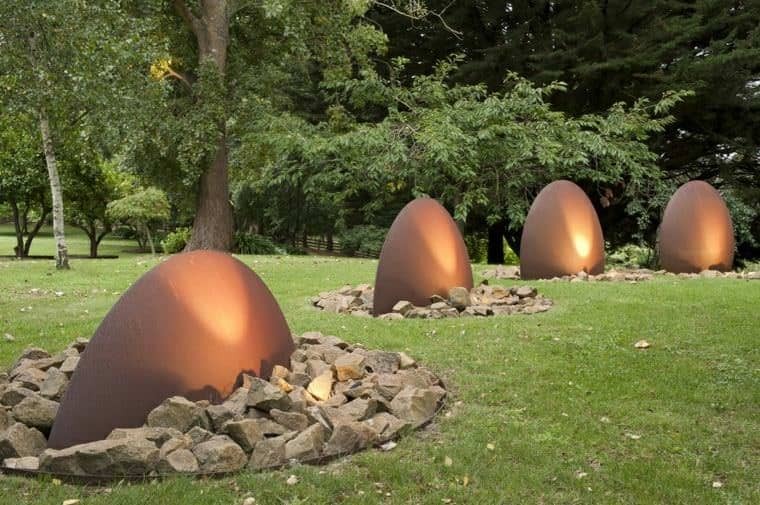 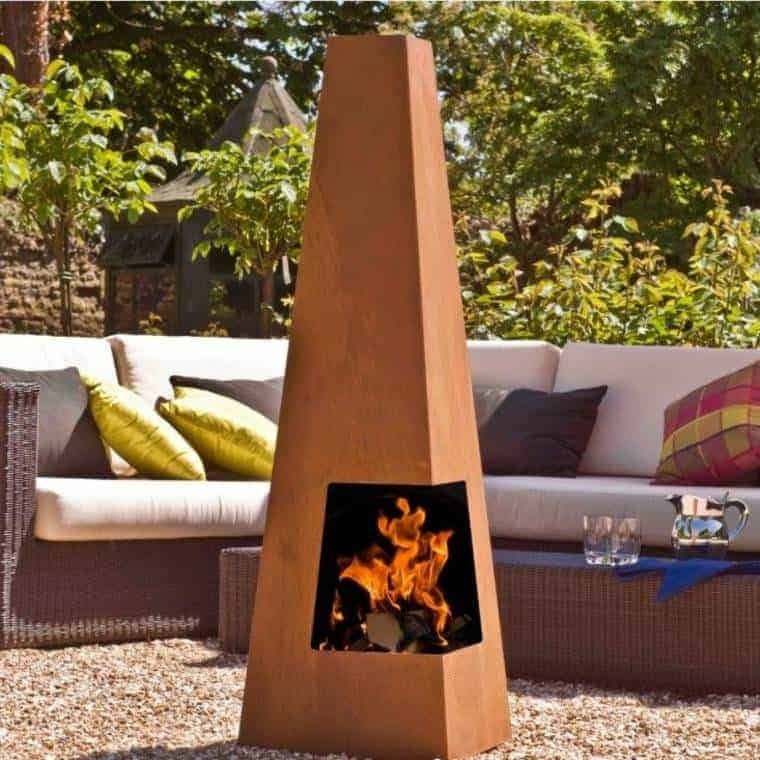 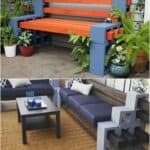 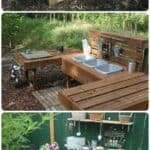 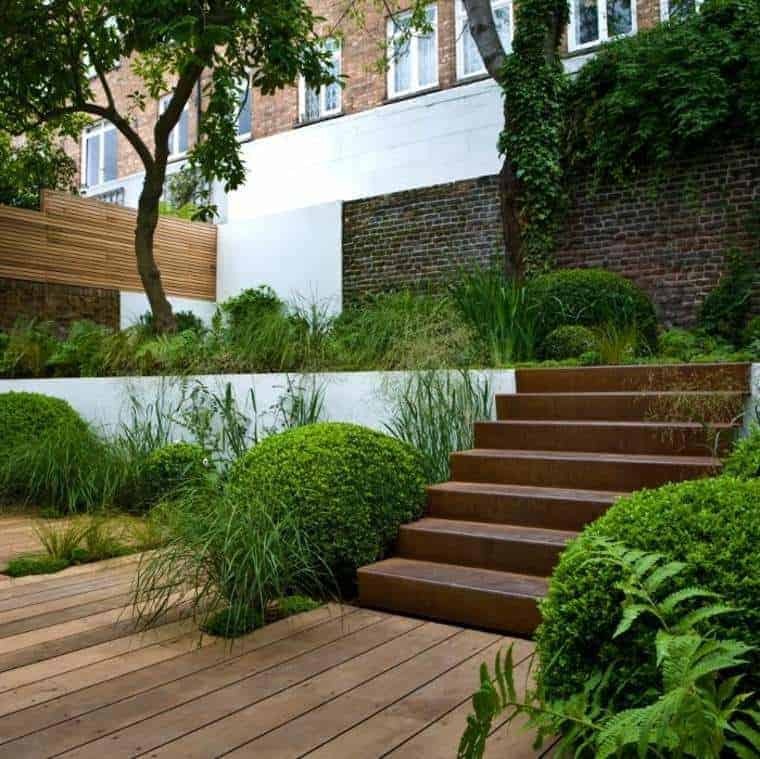 Want to transform your garden into a pleasant and modern outdoor space? 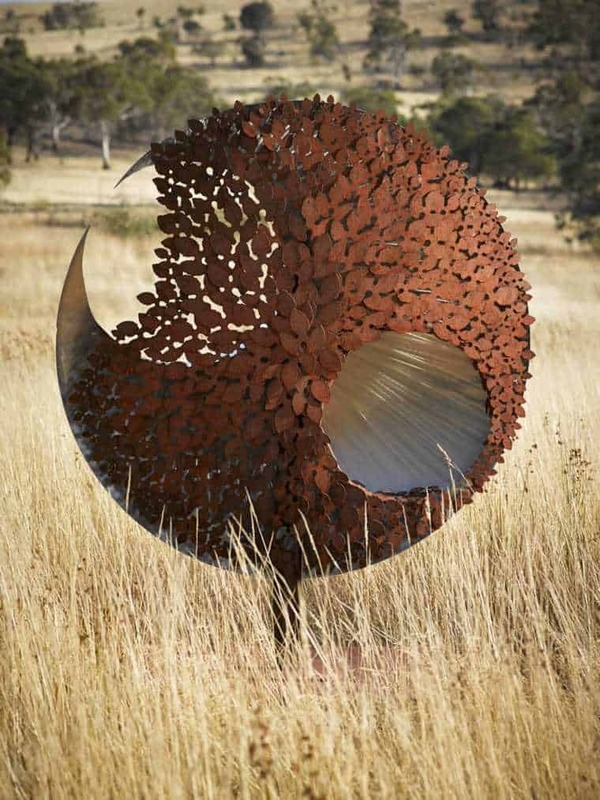 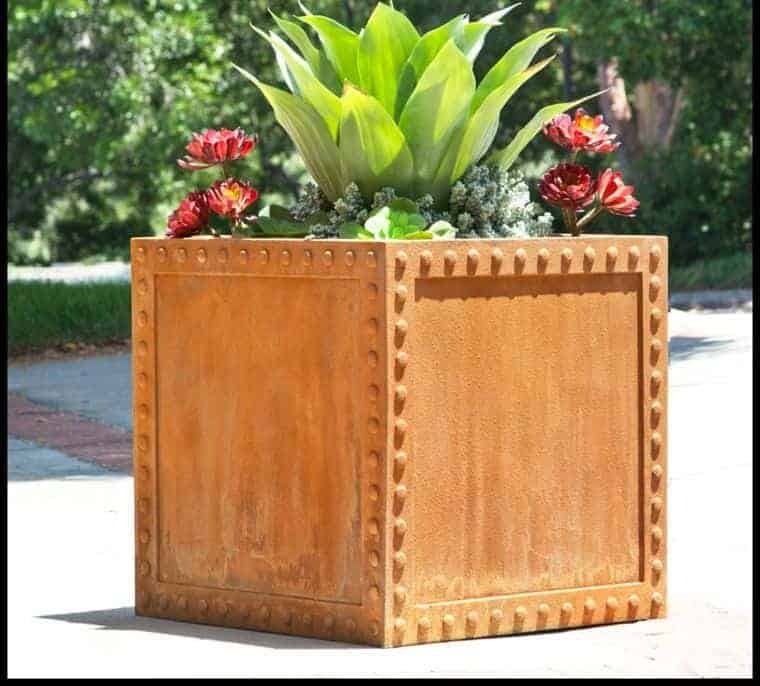 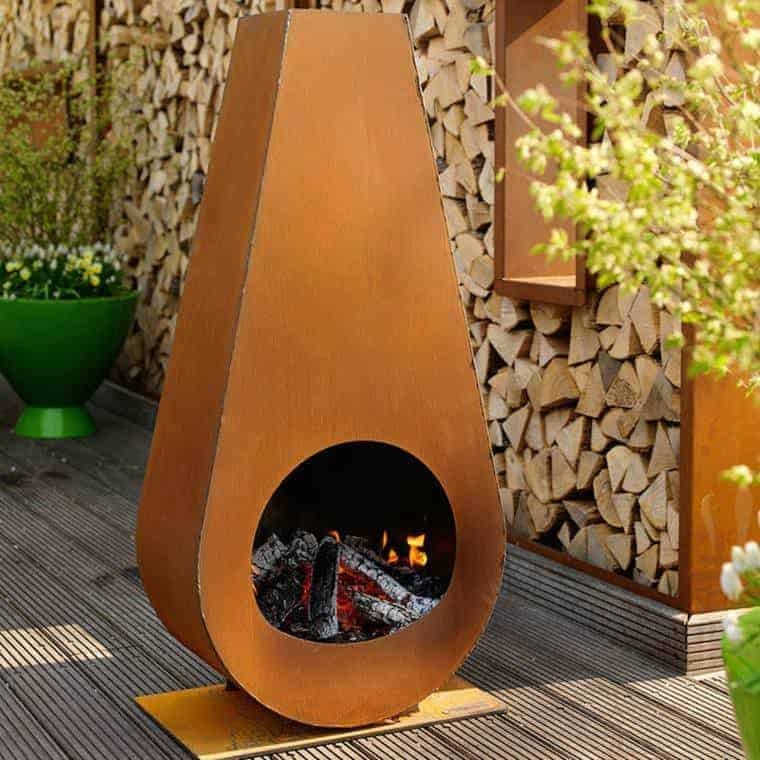 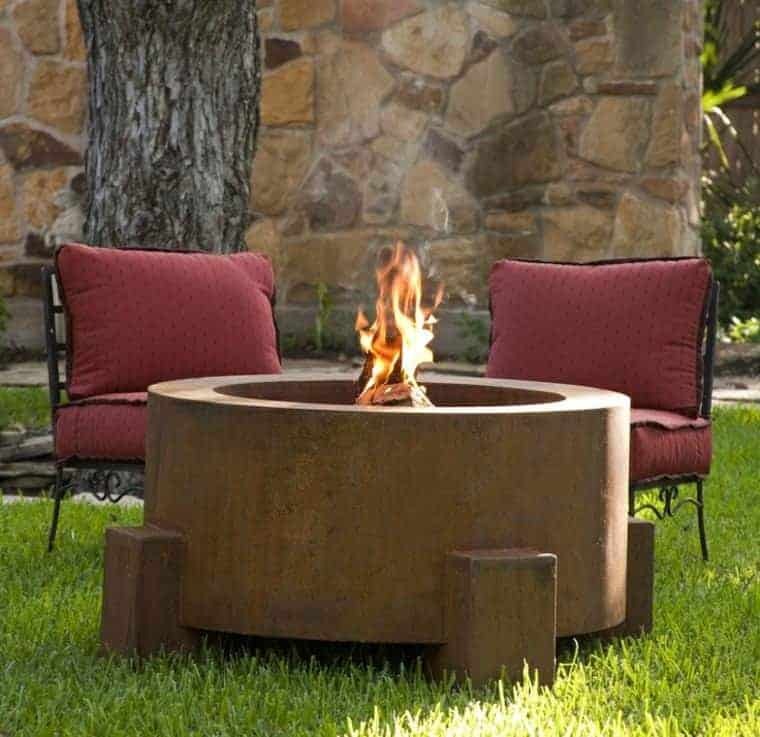 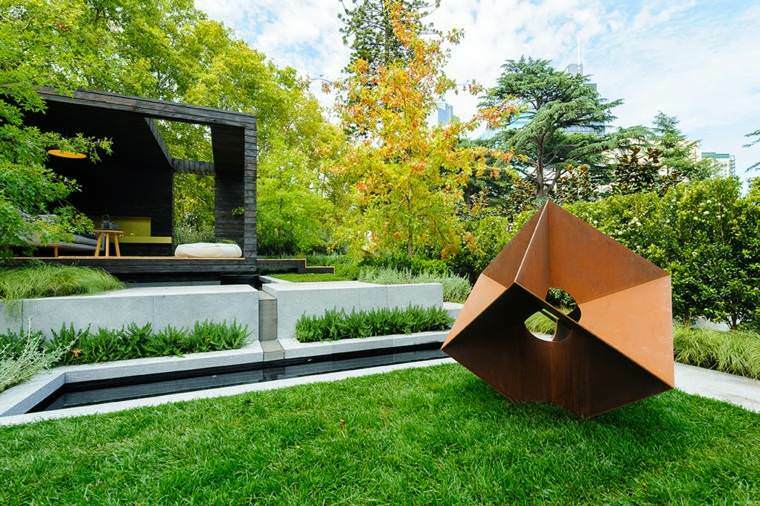 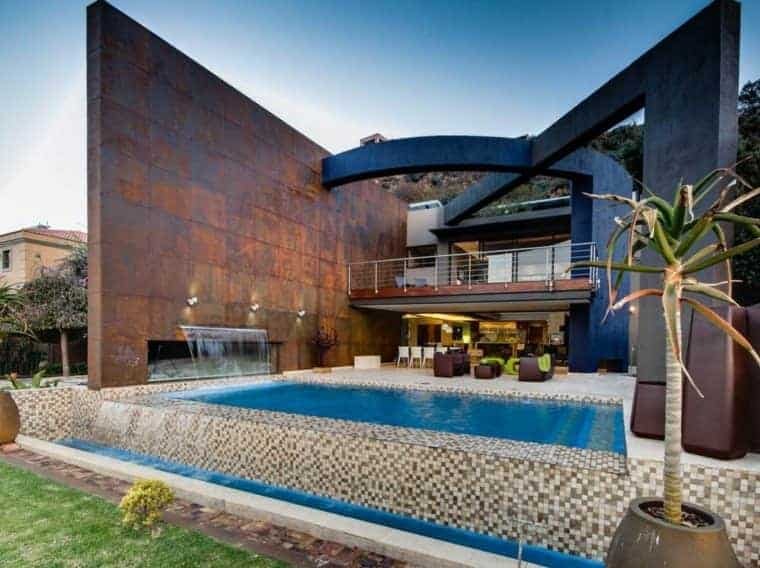 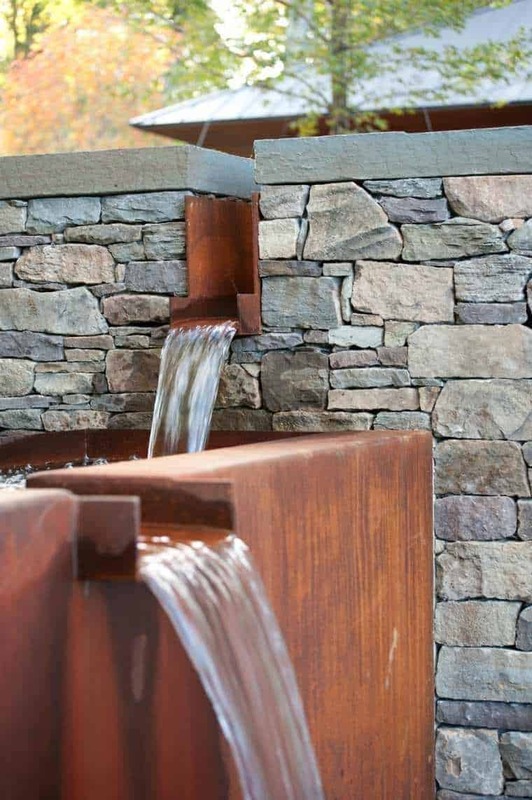 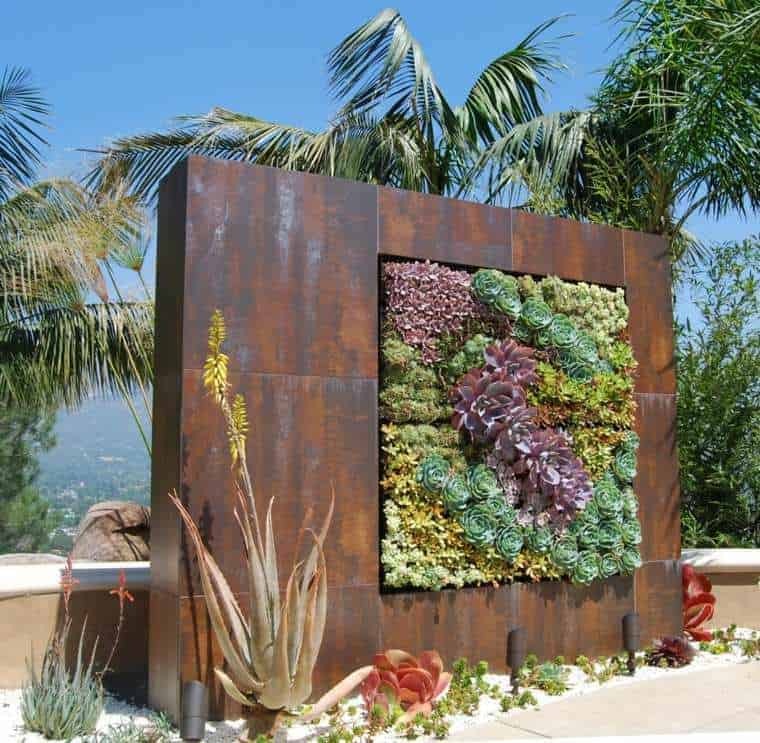 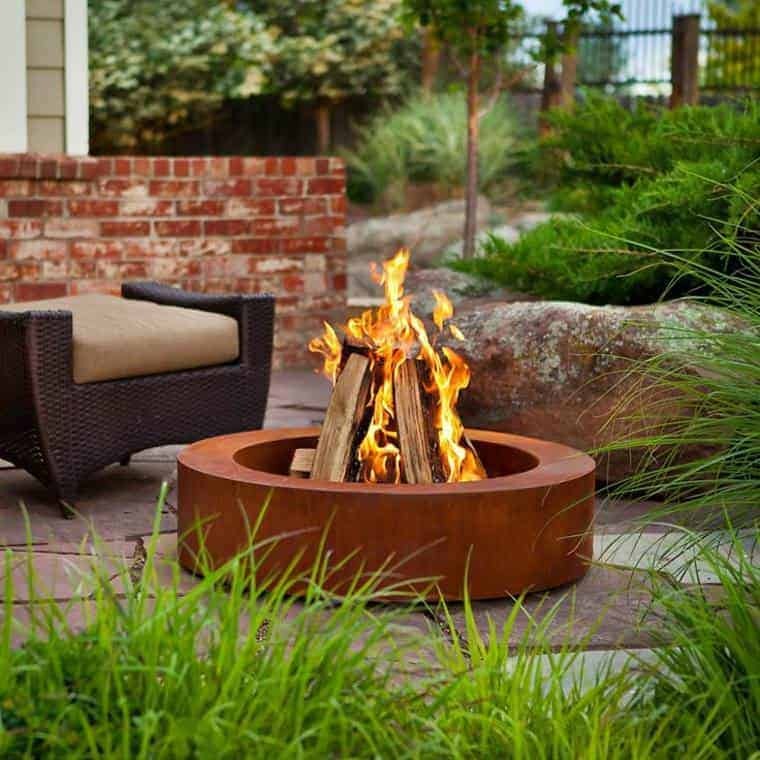 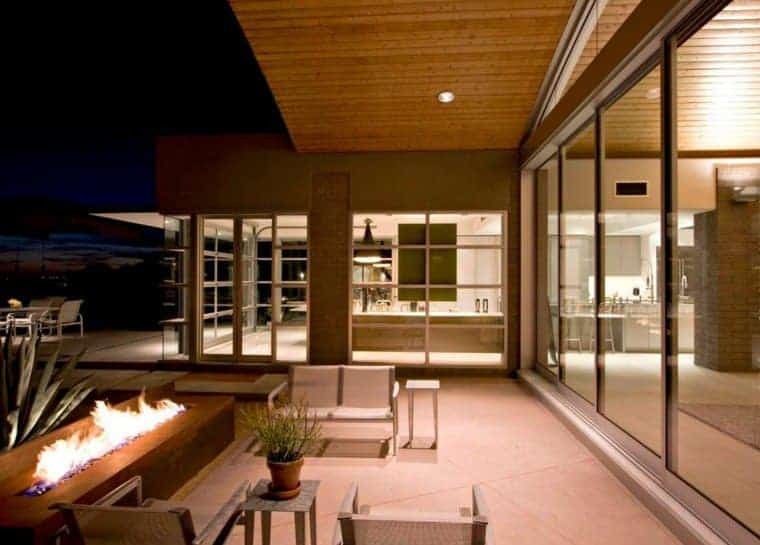 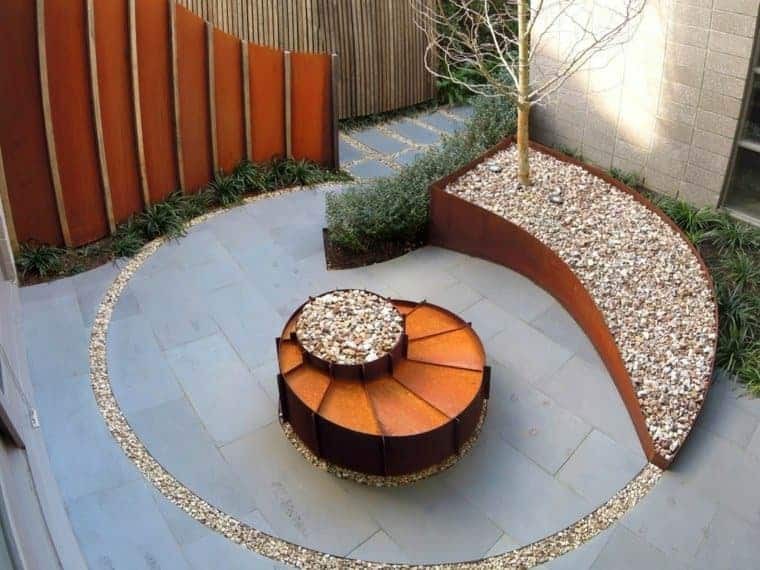 Consult our ideas of decoration with steel corten, a very trendy material! 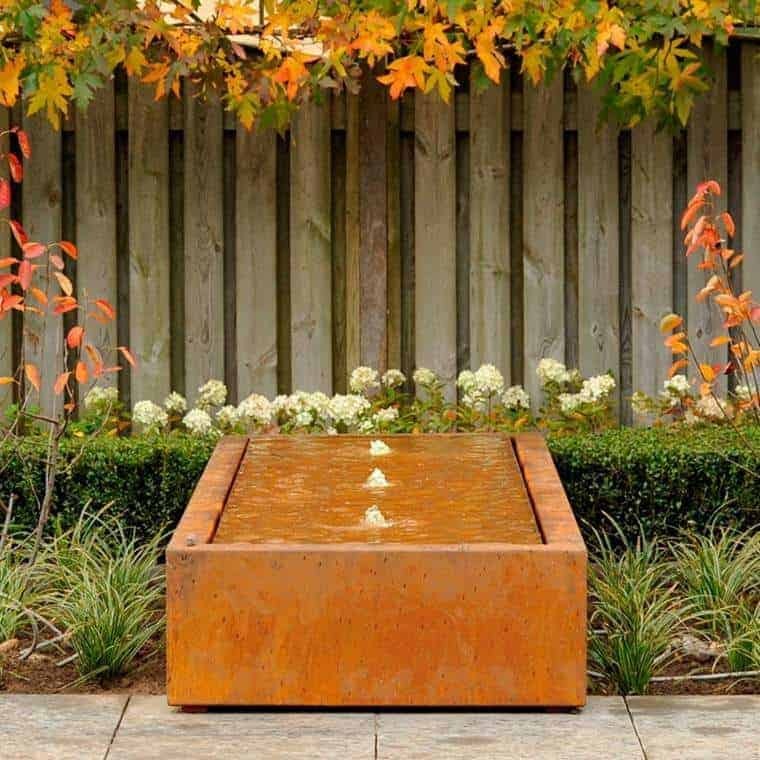 Corten steel is a kind of patinated steel with corrosion or rust effect. 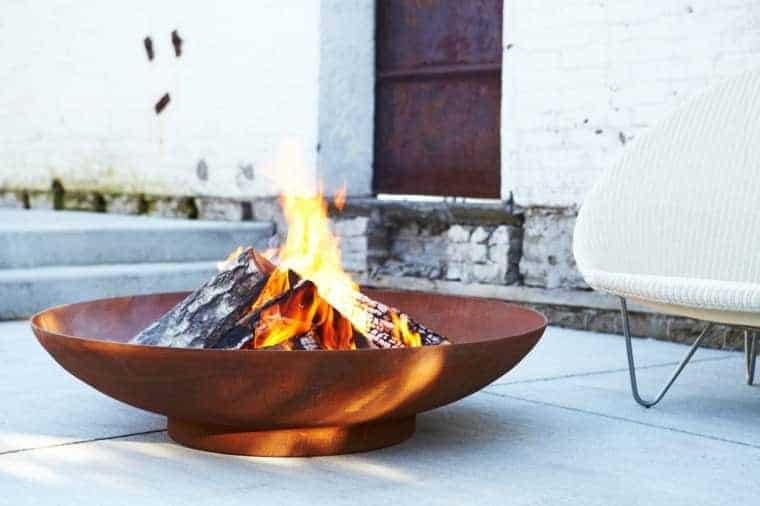 It was invented in the United States during the 30's of the 20th century, its production having been launched in the state of Illinois in 1946. 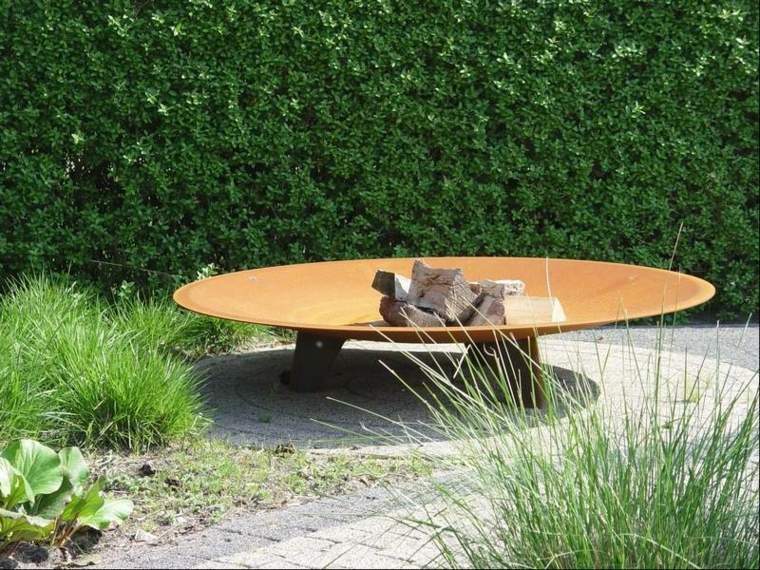 Since then, this kind of steel has become extremely popular not only in North America but also in Europe. 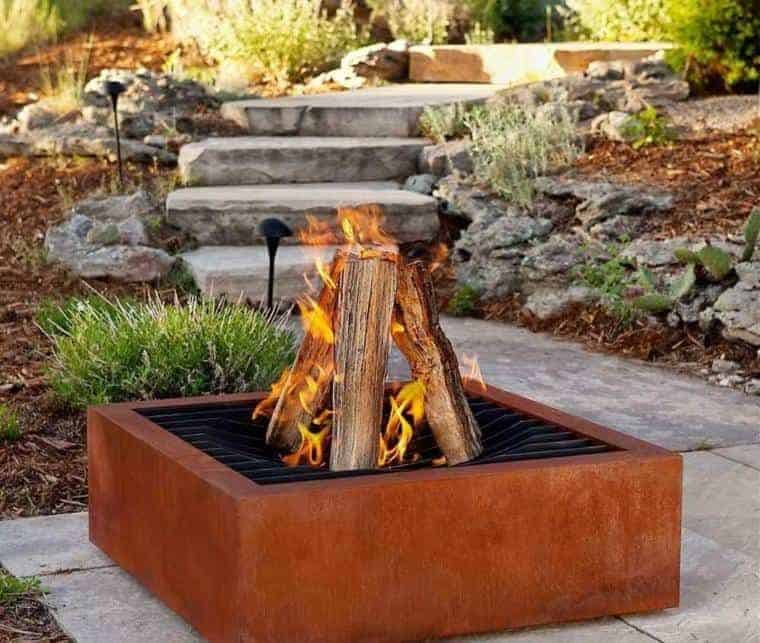 The great success of this material is due to the fact that it is very durable and that it supports all kinds of atmospheric conditions. 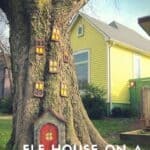 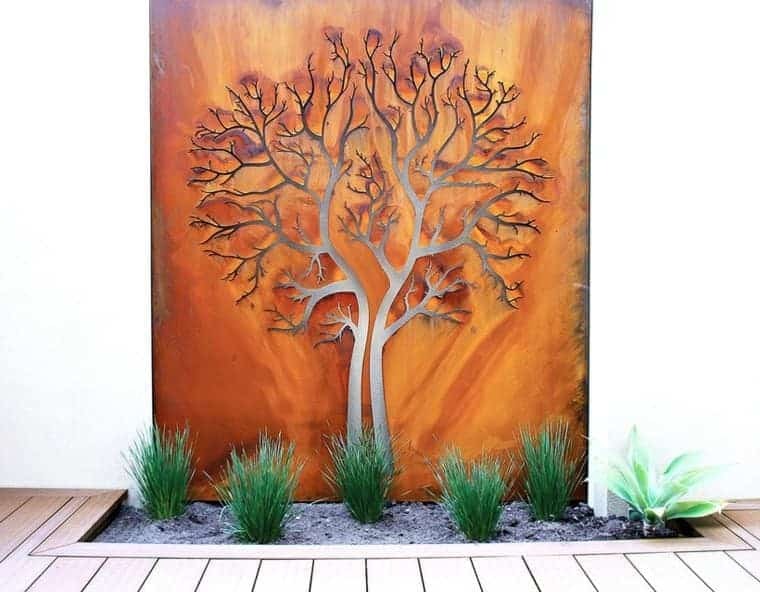 According to the professionals who manufacture this metal, its lifespan can reach up to 120 years. 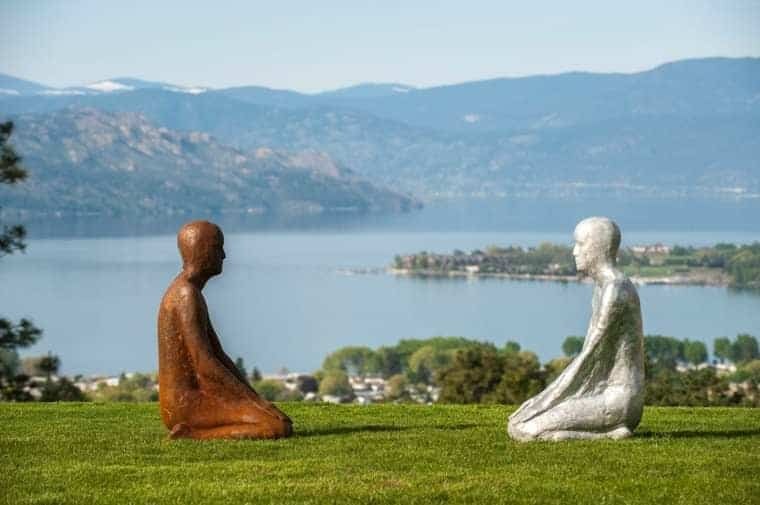 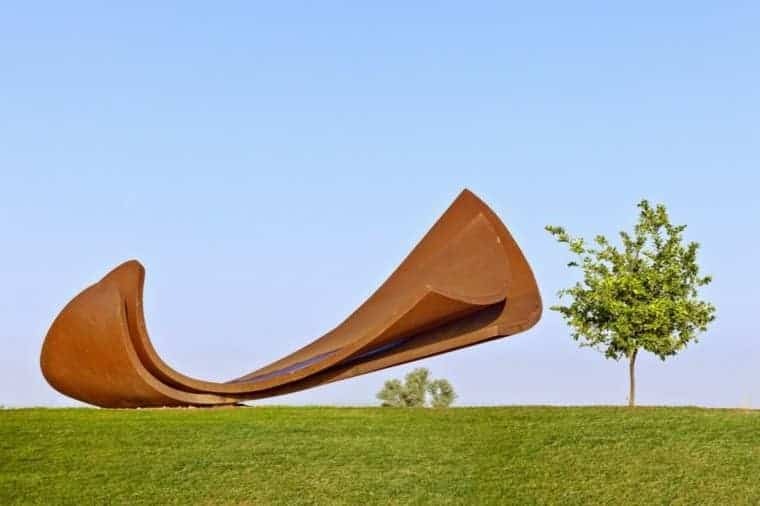 Many artists, sculptors and architects choose steel of this kind because they like its unusual look. 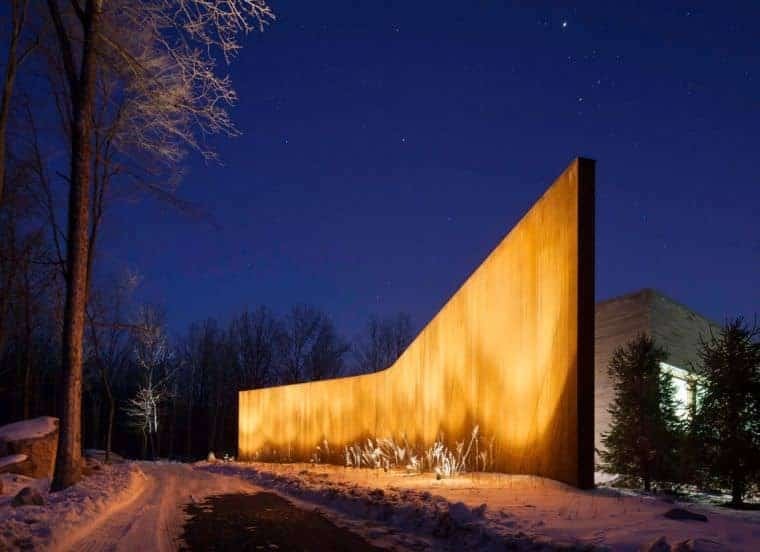 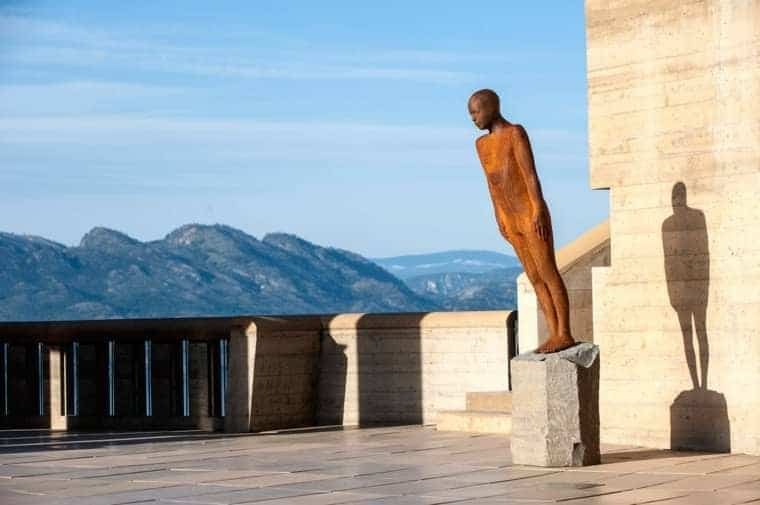 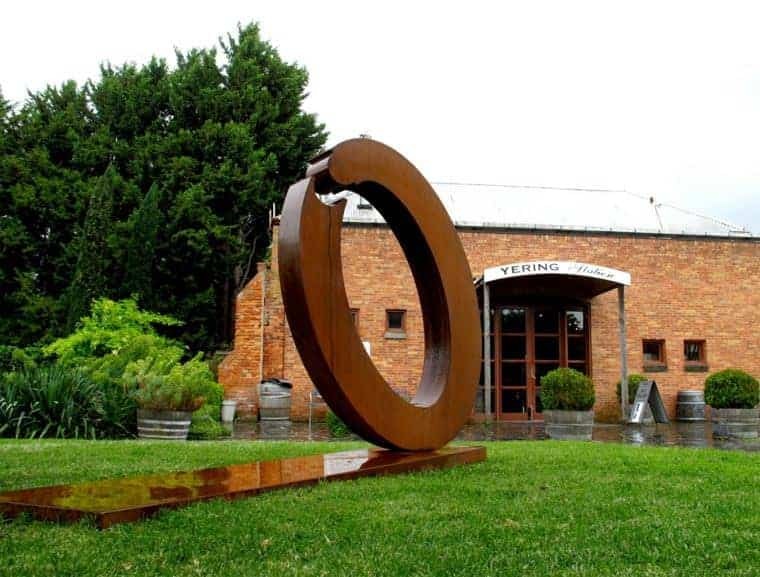 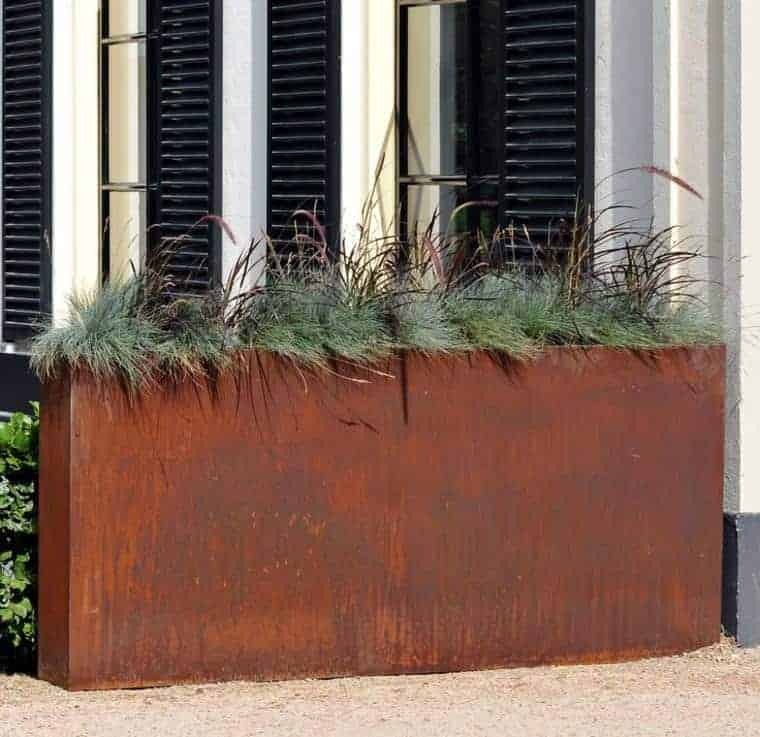 To these creators, corten steel offers the possibility of creating original facades and making decorative objects that look very old and age gracefully. 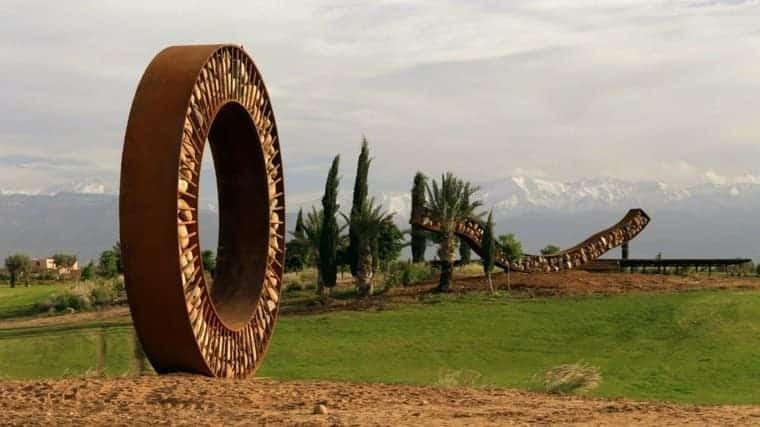 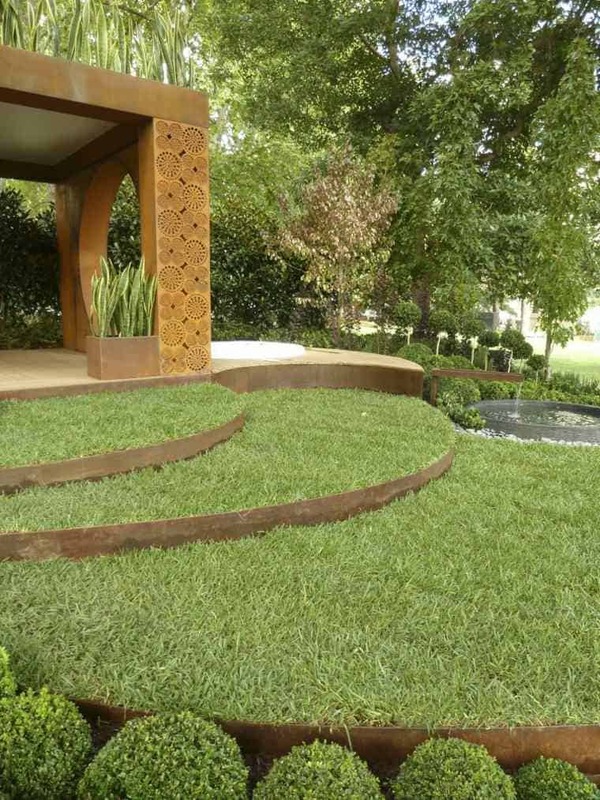 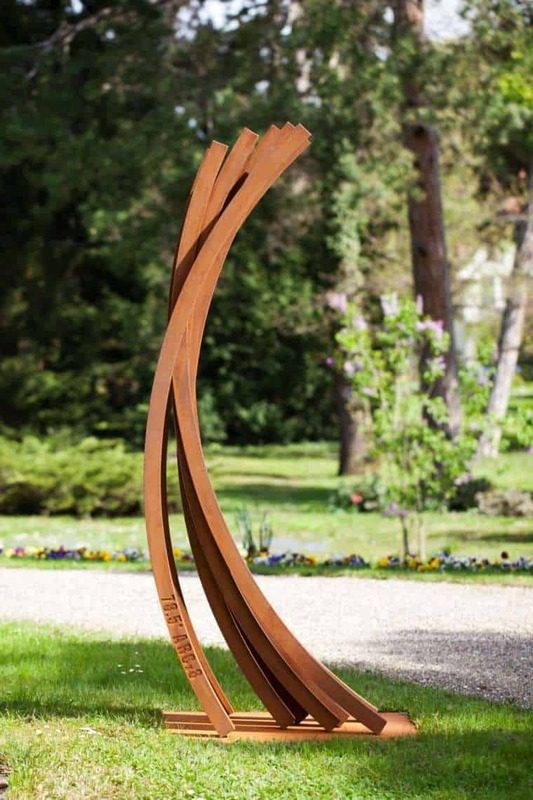 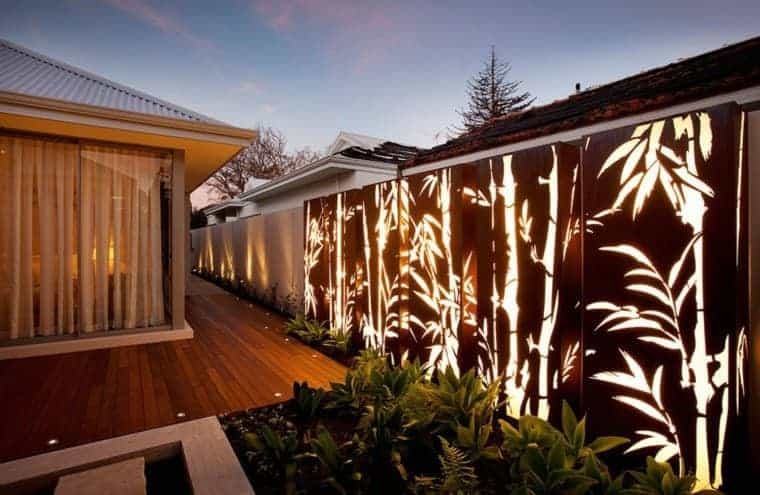 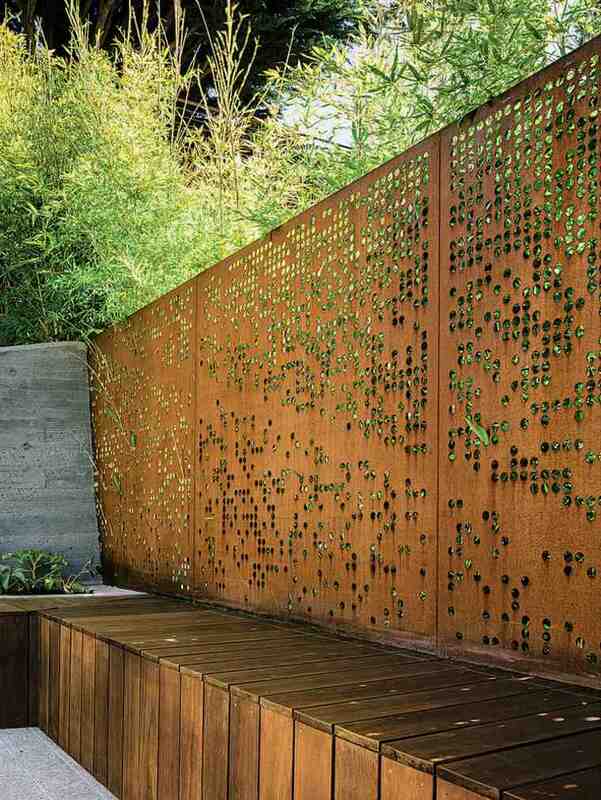 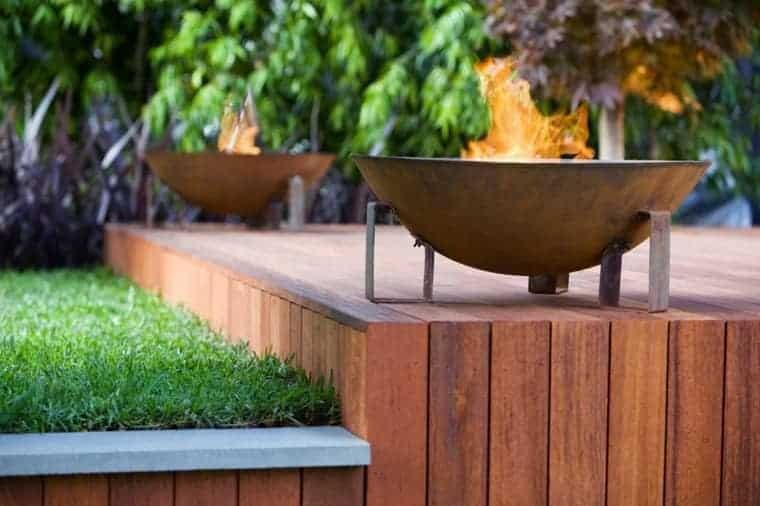 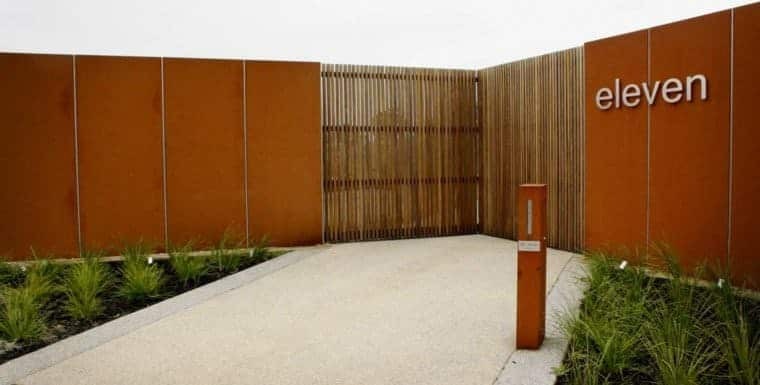 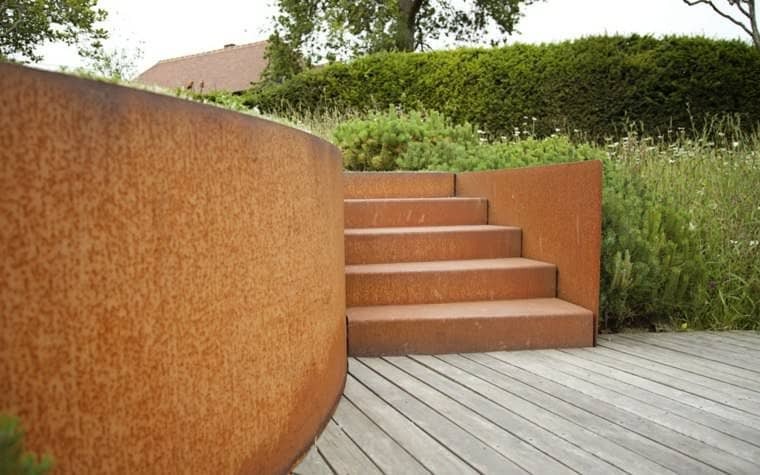 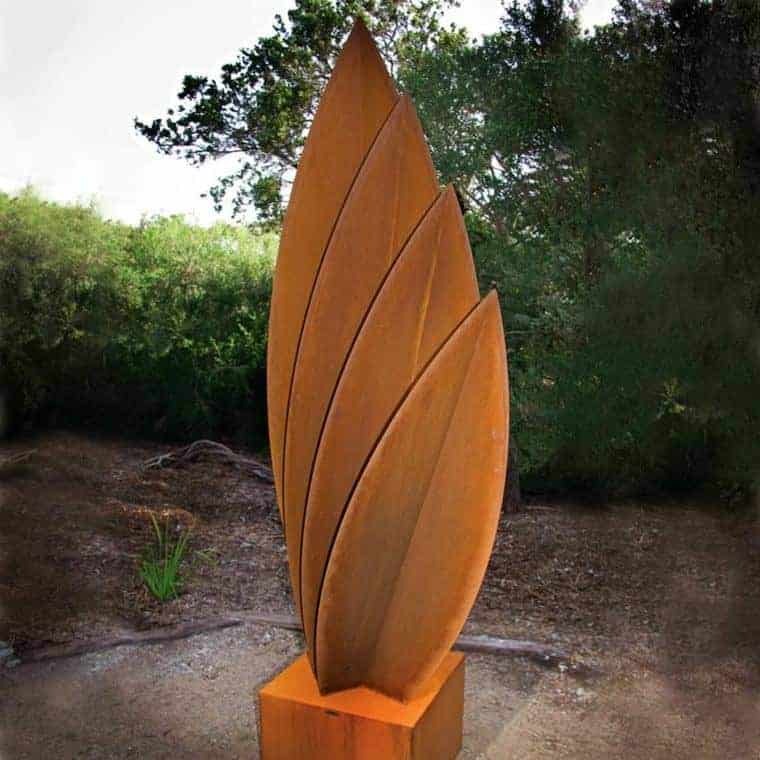 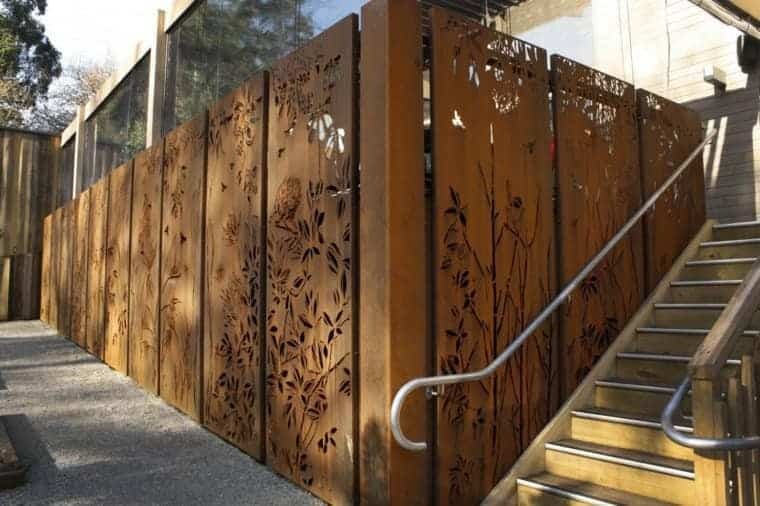 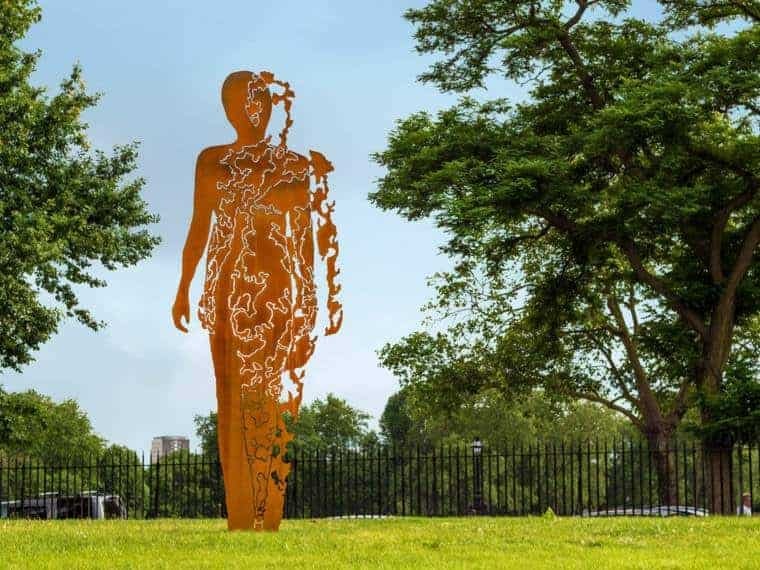 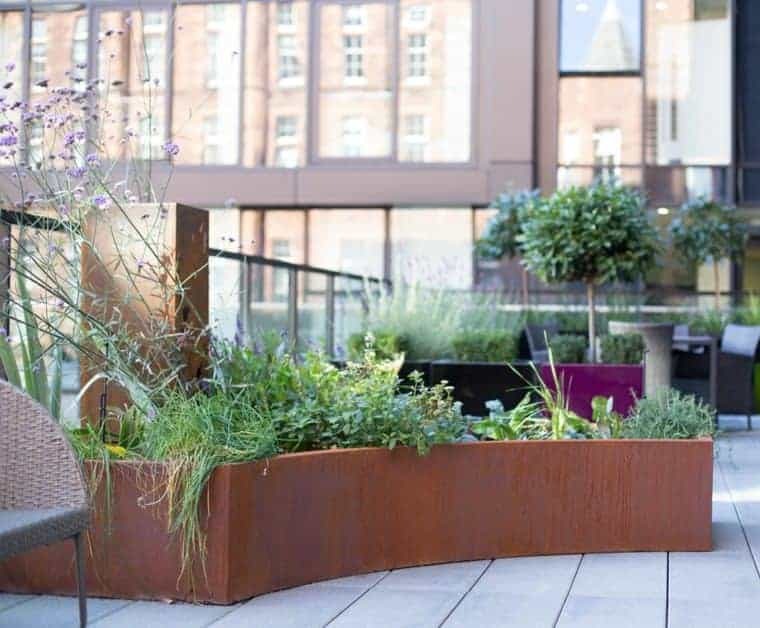 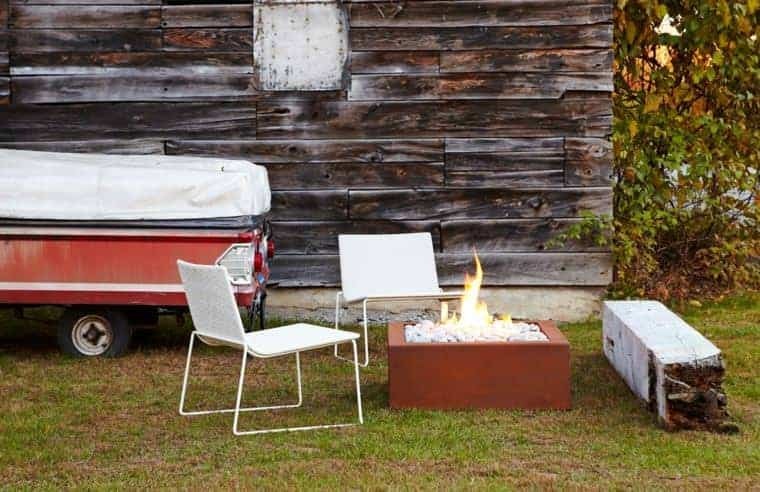 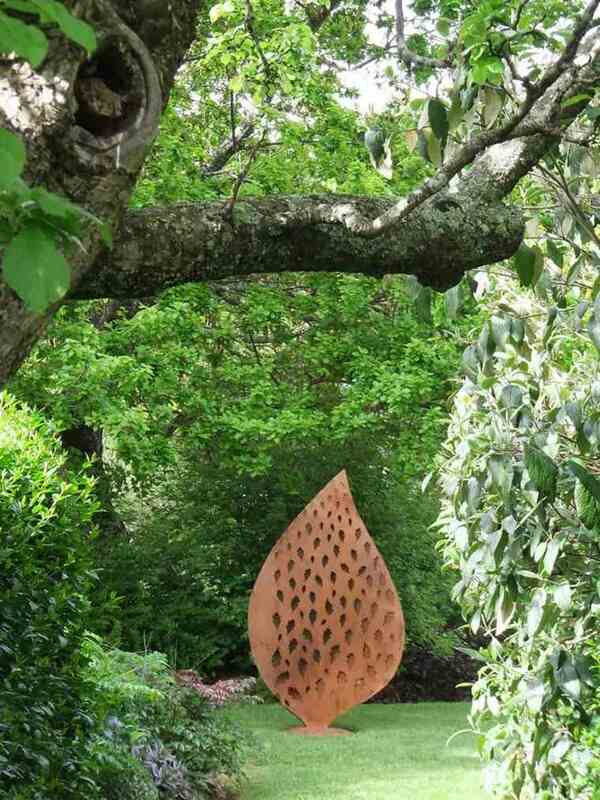 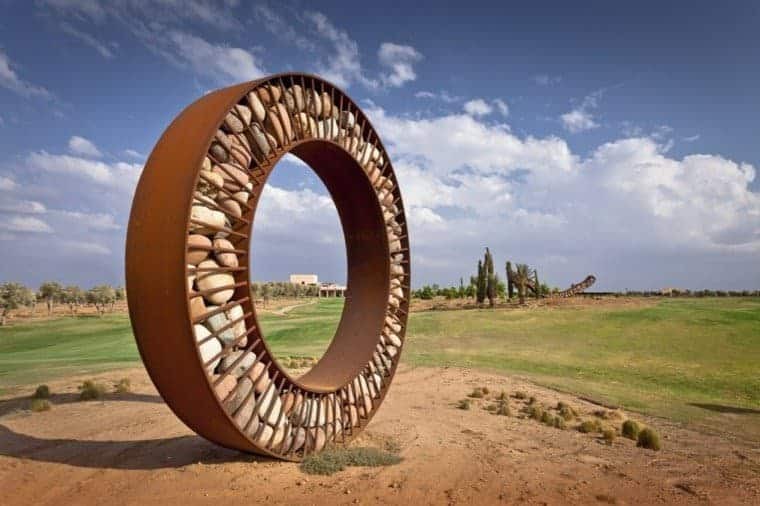 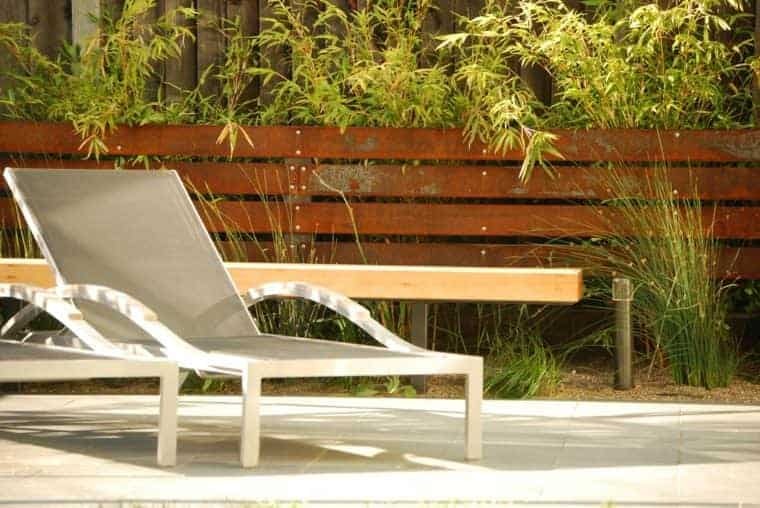 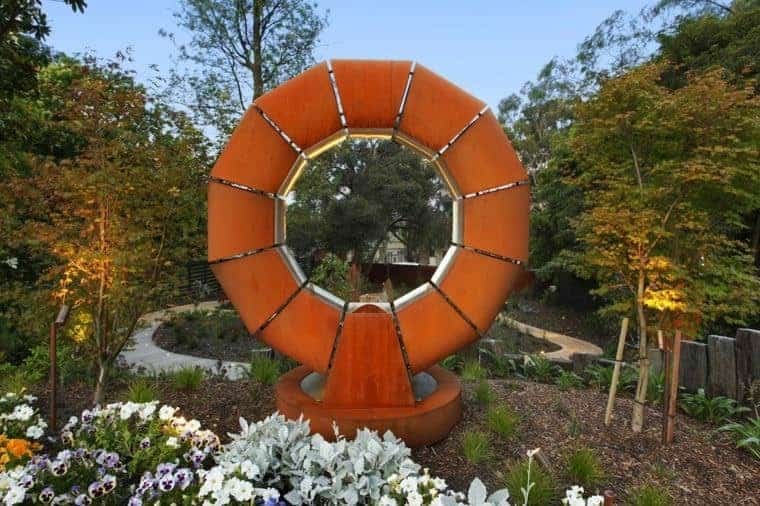 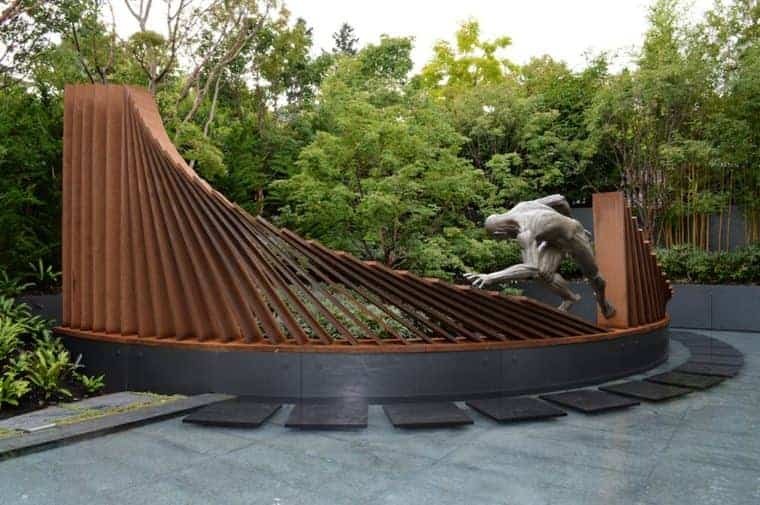 In the decoration of a garden or other similar space, corten steel of this kind can be used for the creation of stairs, for the installation of fences and for earthworks. 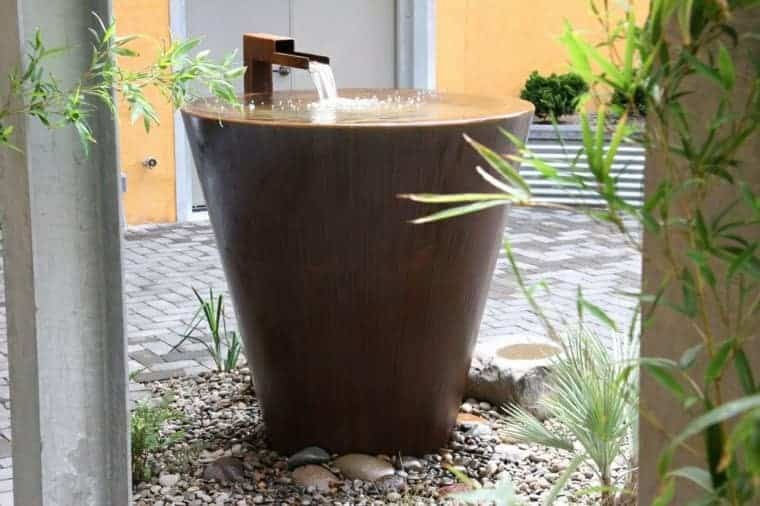 In addition, this material can be inscribed in its exterior by means of statues of different size, garden fireplaces and water fountains such as the one in the image above.